All junk and rubbish cleared out. Whether you need to clear out your office or shed, we got you covered! We are dedicated to providing stress-free rubbish removal in Seaford and and the surrounding areas. 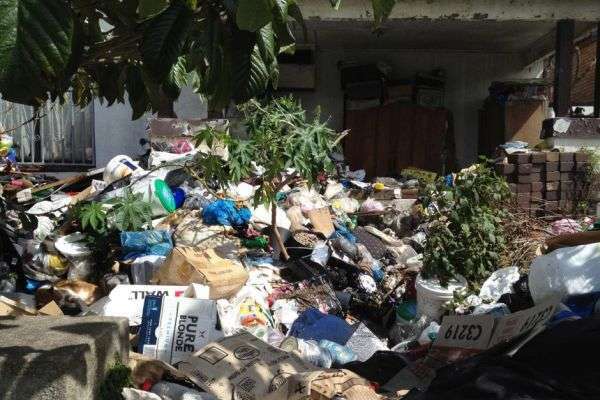 Whether it be household, commercial, green waste or real estate junk, Rambo's Rubbish Removal Seaford can clear any of your waste and rubbish quickly and efficiently. No matter how big or small the job is, we will take a few minutes to remove it all, and you can have your space clean and appealing again. LIGHTNING FAST RUBBISH REMOVAL AT AFFORDABLE PRICE! SERVICING SEAFORD & THE SURROUNDING AREAS. We remove all types of rubbish & waste. Our truck holds approximately 5 – 6 metres of rubbish. With the cost generally cheaper than hiring a skip bin, you can avoid all the heavy lifting and let us do all the rubbish removal work for you. We even sweep paths! Being a small, local operator, we are a reliable and cost effective solution for cheap, fast rubbish removal. For over 10 years our highly-satisfied, loyal and regular customer base has been relying on us to keep their homes and businesses tidy and rubbish free. Our customers come back, time and time again. Dispose of all your unwanted rubbish quickly, cleanly and cheaply with Rambo’s Rubbish Removal Seaford. We’re local, reliable and friendly. For all commercial, domestic or industrial waste & rubbish collection, we’ll have you sorted. We come to you at a time that’s convenient, provide an upfront, all-inclusive quote and immediately remove and recycle all your unwanted rubbish. Our rates are some of the best in Seaford. Fast and cheap rubbish removal in Seaford, call tony on 0419 302 990. Rambo's Rubbish Removal are highly experienced and friendly and professional, we know how to handle rubbish removal tasks that are too big or too much of work for you.